Our passenger boarding bridges have been supplied to the Geneva Airport in Switzerland on two occasions, with 8 passenger boarding bridges supplied for the Satellite Area of the airport in Jully September 1995 and 3 additional units supplied for the Gross Porteurs (Wide Body) area in June 1996. 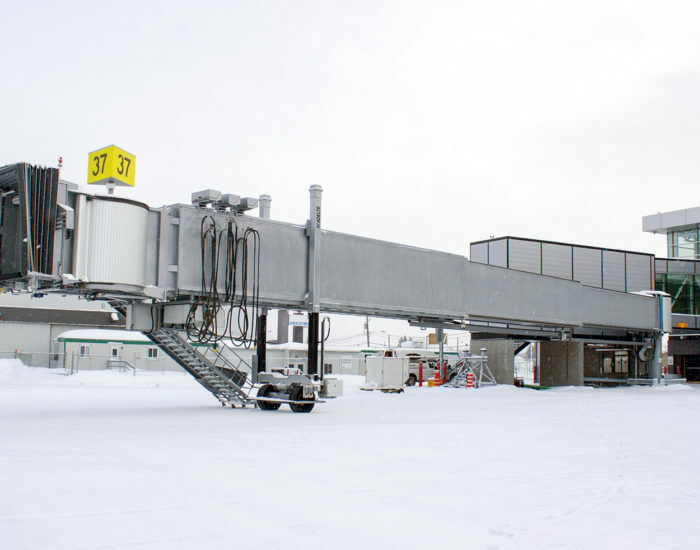 The solution consisted of 11 telescopic passenger boarding bridges for aircraft access of the Apron Drive 2C type (two increasing bodies) and glass-sided fixed bridges. 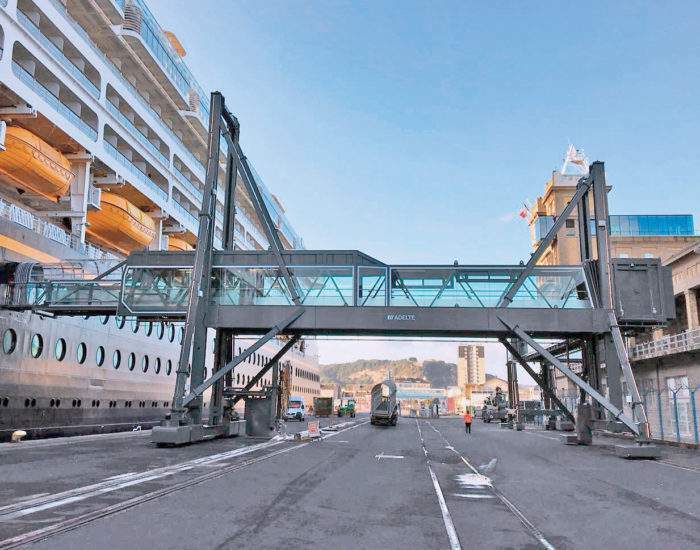 The passenger boarding bridges feature a smooth exterior and rectangular shape with round corners along with an interior design including guides in the lower corners, highpressure pressed panels, edges and corners fitted with aluminium trim, rubber flooring and fluorescent lamps for lighting. 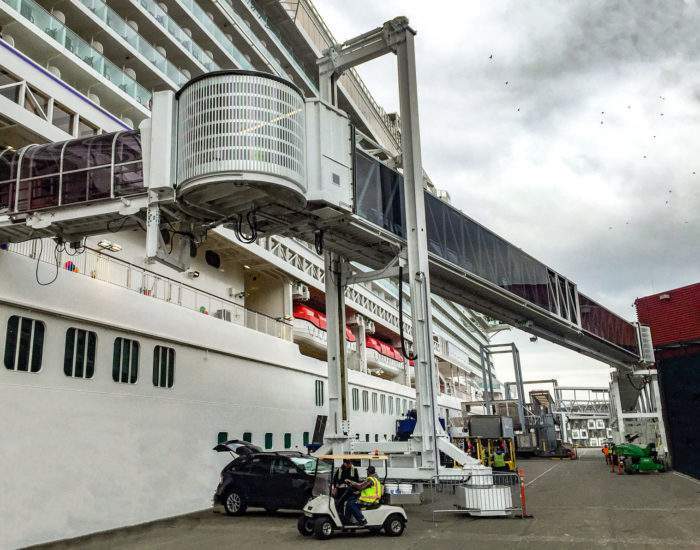 In this case VIP service stairs were also installed for 8 passenger boarding bridges in Satellite Areas 30 and 40, with flexible polycarbonate roofing to protect passengers from the rain. 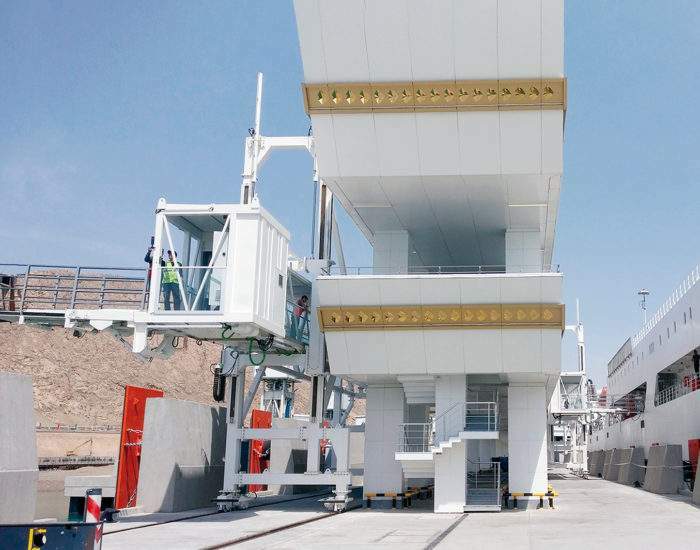 The passenger boarding bridges are also equipped with a rotunda, support column, lifting frame, aircraft docking cabin and a glass-sided fixed bridge connecting the boarding bridges to the airport.